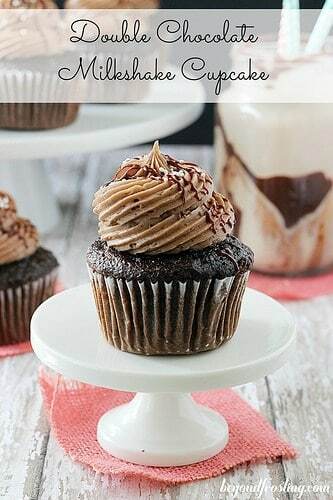 These Ghirardelli Chocolate Milkshake Cupcakes are a topped with a dark chocolate malt frosting! Disclaimer: Ghirardelli sent me product for review, but all opinions included here are my own. I was not compensated for this review. Chocolate chocolate and more chocolate coming your way with week. Why? Well beside my obvious love for chocolate, I have been baking away with some new Ghirardelli products! I practically fell off my chair when I got an email from Ghirardelli asking me if I was interested in reviewing their new line of baking products. Umm yes please! We are huge fans of Ghirardelli, especially the milk chocolate chips. I can barley keep an open bag in the freezer because SOMEONE eats them all and it’s not me. Anyone remember my random road trip stop to their factory outlet? I practically can’t wait to go back to Tahoe so we can stop for another hot fudge sundae. Ghirardelli’s new line of baking products includes Premium Ground Cocoa, Premium Hot Cocoa flavors and Candy Dipping Wafers. Each different product offers the amazing chocolate flavor you would expect from Ghirardelli. 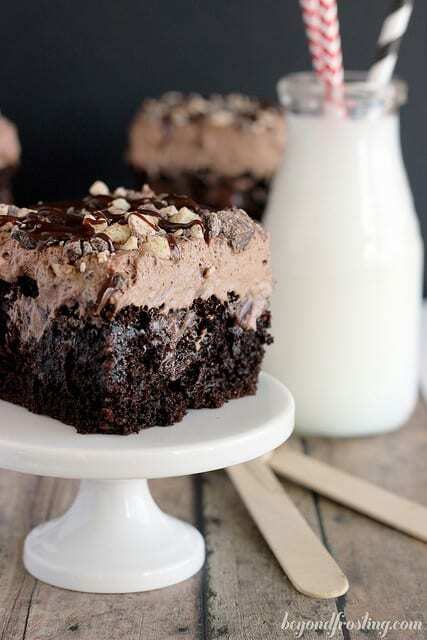 Over the next couple weeks, I will be sharing some recipes using the various Ghirardelli baking products. I only recently found out that Ghirardelli offered Ground Cocoa in both Unsweetened and Sweet Ground Cocoa. 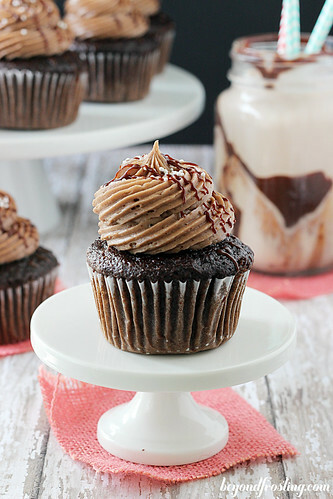 The Ground Cocoa is the perfect chocolate flavor for cooking, brownies and even frosting. 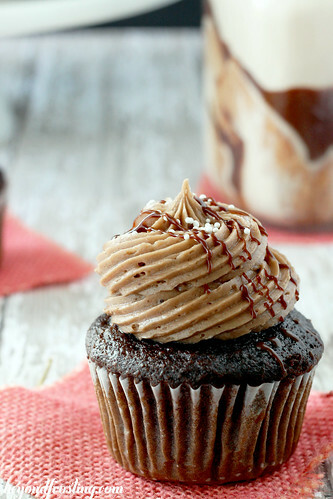 Today, I am using the Sweet Ground Cocoa for this Chocolate Milkshake Frosting. It’s chocolatety, a little griddy (like Cocoa) and slightly malted. I added some vanilla malt powder to the frosting for the added “milkshake” taste. 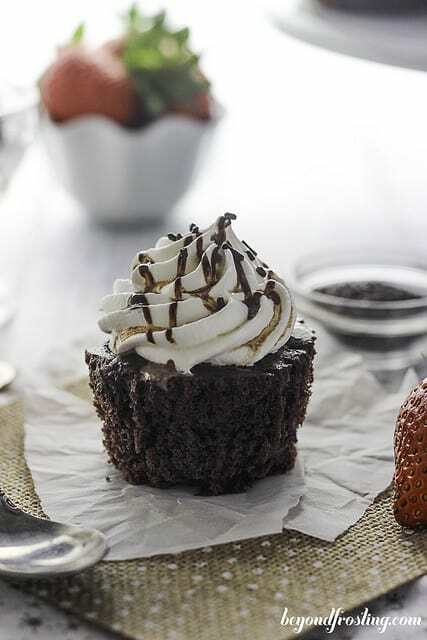 I also tend to use heavy whipping cream in my frostings which add a smooth and creamy texture. I also whip it at high speeds for 30 seconds at a time to introduce some air into the frosting. Usually I recommend sifting any cocoa powder before adding it to anything, because most cocoa powder comes in a hard container. However, the resalable bag of Ghirardelli Cocoa are soft and flexible, so you it can help break up any clumps that might have formed. So I did not have to sift the Ground Cocoa before I added it to my frosting. Anything that can help me save time is much appreciated! Now let’s get to work and make some frosting! 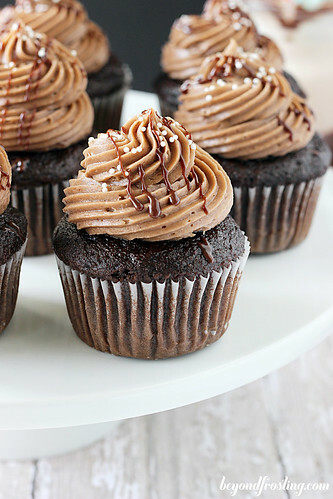 You can add additional Ground Cocoa for a more intense chocolate flavor. 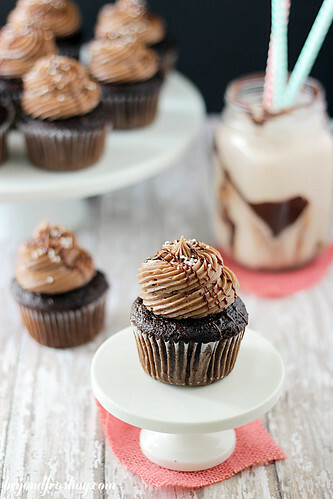 You can use your favorite chocolate cupcake recipe! 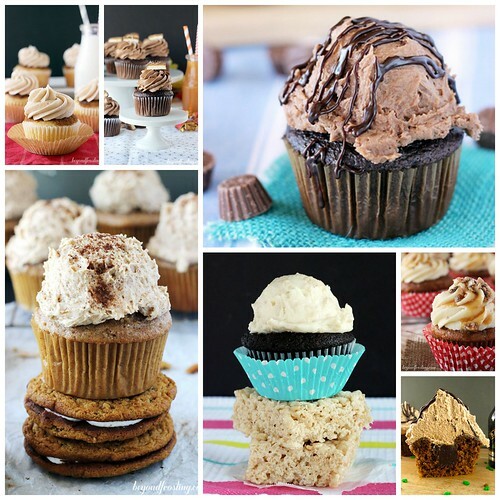 Did you know I have 30 other cupcake and frosting recipes? Check them all out here. Will have to try this recipe. . .